A:Hot glue, dries in seconds. A: You CAN see inside, that's why I loaded it up with windows, and also, they are structural. A:Sure, go to my facebook page, "TheMrFinneth" and find them in the photos. A:No. 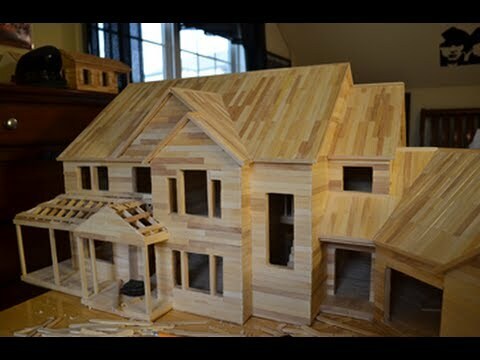 I like the wood look, and it painting it would make it look cheesy and take away from the fact that it's built with popsicle sticks.